Temenos has reported a total software licensing growth of 45% for 2015 on the back of new deals and acquisitions. In its 152-page “Annual Report and Accounts 2015”, the Swiss software vendor also revealed a rise in non-IFRS (International Financial Reporting Standards) revenue of 19.2% – moving from $468.7 million in 2014 to $559 million. Andreas Andreades, executive chairman, Temenos, says 2015 was a “record year” in terms of revenues, cash flows and profitability. He adds: “In North America we started making inroads by beginning to work with some of the largest banks on their progressive renovation efforts.” Banking Technology understands that these include Ally Financial and Comerica. Last year, Temenos moved into the fund administration business with the acquisition of Multifonds, which counts a number of Tier 1 institutions as users of its fund administration platform. Temenos paid €235 million in a mixture of cash and debt to acquire Multifonds from a shareholder group led by growth equity investor Summit Partners. In February 2015, it also acquired US-based loan origination and collection software provider Akcelerant – and with it more than 600 credit union clients. It is understood that the aforementioned Comerica signed for Akcelerant’s products. There were a variety of deals in 2015 for Temenos. The largest by far – and the largest core banking system deal in post-crisis Europe – has been with Nordea. The bank is investing €1 billion in its software overhaul, with T24 at the heart of it. Accenture is the delivery partner. ABN Amro extended its contract with Temenos to roll out T24 and a range of front-end applications (branded as WealthSuite) for its private banking activities across the globe. 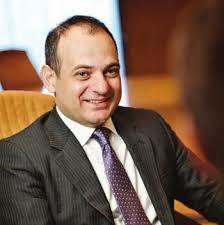 On the way out is the Olympic solution from Temenos’ rival in the private banking space, ERI. Julius Baer was another high-profile signing of 2015. The bank took the “progressive renovation” route, with T24 to be first installed in its Asian operations in Hong Kong and Singapore. Again, ERI’s Olympic will be replaced. In Luxembourg, Advanzia Bank (an online bank focused on retail) signed to replace its legacy solution with a Microsoft-based version of T24. A local IT integrator and Temenos’ partner, Syncordis, is managing the project delivery. In Israel, Bank Leumi is planning to launch a new digital-only bank, with Temenos’ products underpinning the operations. And in Pakistan, a 2015 signing was Samba Bank, a subsidiary of a Saudi financial services group, Samba. Its parent has been working on its own T24 project in Saudi Arabia for a number of years already. According to Temenos, the contract was preceded by a competitive selection process. Nordics’ largest IT group, Tieto, joined Temenos’ extensive list of service partners. Tieto now offers delivery services for the T24 core system as well as auxiliary products across the Nordic and Baltic regions. In particular, it will specialise in the T24 Model Bank (a preconfigured, “out of the box” version of T24) delivery.